If you've been following my site for a while, you'll know that I've got my hands in a lot of projects and activities, ranging from putting together ant farms, making my own wine, wrenching on a car, etc., etc. Most of these projects are handled with a reasonable amount of competency... meaning that, at the least, I feel like I know what I'm doing. And generally speaking, I only post my projects or activities on my blog if I feel like I know what I'm doing. And that's precisely why my fishing exploits have not often been posted on my site. 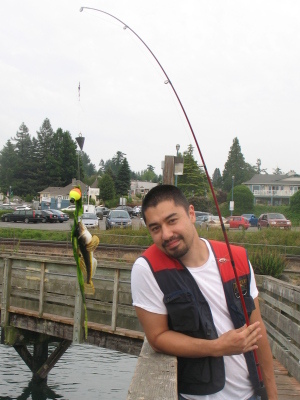 The last major fishing attempt of mine was two years ago, where I acknowledged that I've tried to catch fish for four years and never caught a single thing. And in fact, it would be another two years after that post that my streak of fishing failure would finally come to an end. I finally caught a fish. Two of them, actually. 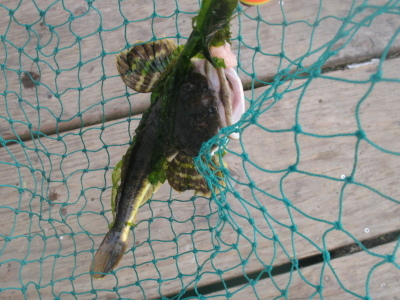 Nevermind that salt-water bullhead are trash fish, and that they're absolutely worthless except to use as bait. I caught them. And I promptly cut them up and tossed them into my crab trap to catch some crabs. I didn't catch any crab that day, but I did a couple of days later. 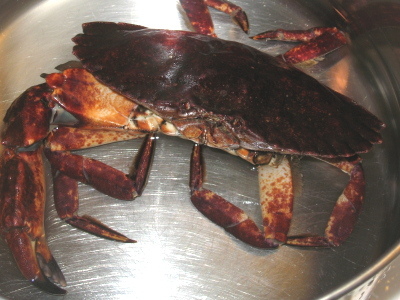 Red rock crabs aren't as meaty as dungeness crabs, but they taste just as good. And there you go. After six years of trying, I finally caught a couple of fish and a crab. Hopefully I catch many more. I'm proud that your streak of fishing failure has come to an end. Jeanne M.
Congrats on the catch. I see you're at Steilacoom dock. See you there! Crabbing opens in a week! I'll be the older guy with his daughter and little boys. (busy catching crab that is...)You can find flounder out there if you cast a little ways SE. Hi Patient fisherman. Hope things are going well for you and the fish are bitomg! All the best on the turbulant seas of life !! !